When he was young, Muhammad used to tend sheep for the people of Makkah, then he traveled to Syria to do business on behalf of Khadeejah bint Khuwaylid, and he made a good profit. Khadeejah was impressed with his character, and his sincerity and honesty, so he married her when he was twenty-five, and she was forty, and he did not marry any other woman until after she died. Allaah made Muhammad grow in a good manner, and Allaah took care of him, so he was the the best of his people in physical wellbeing and in attitude, he was the most generous, the most patient, the most truthful, the most sincere and the most honest, so his people called him al-Ameen (the trustworthy) . When Muhammad reached the age of thirty-five he took part in the rebuilding of the Ka’bah, which had been destroyed by a flood. A dispute arose concerning who should put the Black Stone back in its place, and they appointed him as an arbitrator to resolve the dispute, so he called for a garment and placed the stone on it then he told the tribal chiefs to hold the garment at the edges so that all of them could lift it together, then Muhammad put it in place and put stones and mortar around it. The people of the Jaahiliyyah used to have some good characteristics such as generosity, loyalty and courage, and they used to follow some teachings of the religion of Ibraaheem, such as venerating the Ka’bah and making Tawaaf around it, performing Hajj and ‘Umrah, and offering sacrifices. But besides that they used to have some bad habits and traditions, such as fornication, drinking alcohol, consuming ribaa (usury or interest), killing their daughters, oppression and worshiping idols. The first one to introduce changes in the religion of Ibrahim, and to call for the worship of idols was ‘Amr ibn Luhayy al-Khuzaa’i, who brought idols to Makkah and other places, and called people to worship them. Among these idols were Wudd, Suwaa’, Yaghooth, Ya’ooq, and Nasra. Later on, the Arabs also worshipped other idols such as the idol of Manaat in a place called Qadeed, and al-Laat in al-Taa’if, al-‘Uzza in Wadi Nakhlah, Hubal inside the Ka’bah, and other idols around the Ka’bah, and idols in their homes. People used to consult soothsayers, fortunetellers and magicians to judge between them. “O you (Muhammad) enveloped in garments! After that, revelations came one after another to the Messenger (peace and blessings of Allaah be upon him). A few people, rich people, nobles, the weak and poor, men and women, believed in the Messenger. All of them were persecuted for their faith. Some were tortured and some were killed. Some of them migrated to Abyssinia, fleeing from the persecution of Quraysh, and some of them were persecuted with the Messenger (peace and blessings of Allaah be upon him), until Allaah caused His religion to prevail. When the Messenger reached the age of fifty and ten years of his mission had passed, his uncle Abu Taalib, who had protected him from the persecution of Quraysh, died. Then his wife Khadeejah, who had been his consolation, also died, and the persecution of his people intensified. They harrassed him and persecuted him with all kinds of torments, and he bore it with patience, seeking the reward of Allaah. May the blessings and peace of Allaah be upon him. When the persecution of Quraysh became too intense, he went out to al-Taa’if and called its people to Islam but they did not respond; instead they insulted him and threw stones at him, until his heels started to bleed. He went back to Makkah and continued to call his people to Islam during Hajj and at other times. Then Allaah took His Messenger on the Night Journey from al-Masjid al-Haraam in Makkah to al-Masjid al-Aqsaa (in Jerusalem), riding on al-Buraaq, accompanied by Jibreel. He stopped and led the Prophets in prayer, then he was taken up into the lowest heaven, where he saw Adam, with the souls of the blessed to his right and the souls of the doomed to his left. Then he was taken up to the second heaven where he saw ‘Eesa and Yahyaa; then to the third heaven where he saw Yoosuf; then to the fourth heaven where he saw Idrees; then to the fifth heaven where he saw Haroon; then to the sixth heaven where he saw Moosa; then to the seventh heaven where he saw Ibraaheem. Then he was taken up to Sidrat al-Muntaha (the Lote-tree of the utmost boundary), and his Lord spoke to him and enjoined fifty prayers upon him and his ummah each day and night. Then that was reduced to five prayers to be performed, with a reward for fifty, and the prayer was confirmed to be five prayers each day and night for the ummah of Muhammad (peace and blessings of Allaah be upon him). Then he returned to Makkah before dawn came, and he told them what had happened to him. The believers believed him but the kaafirs did not. Then Allaah sent to His Messenger (peace and blessings of Allaah be upon him) people who would help and support him. During the Hajj season, he met a group from the tribe of Khazraj in Madeenah. They embraced Islam, then they went back to Madeenah and spread Islam there. The following year, they were over ten people, whom the Messenger (peace and blessings of Allaah be upon him) met, and when they left he sent Mus’ab ibn ‘Umayr with them to teach them the Qur’aan and Islam. Many people became Muslim through him, including the leaders of the tribe of Aws, Sa’d ibn Mu’aadh and Usayd ibn Hudayr. Then the Messenger of Allaah (peace and blessings of Allaah be upon him) resolved to migrate to Madeenah, so he and Abu Bakr set out to the cave of Thawr and stayed there for three nights. They hired ‘Abd-Allaah ibn Abi Urayqit, who was a mushrik, as their guide, and the ylet him lead their camels. Quraysh were alarmed when he left, and they looked for him everywhere, but Allaah protected His Messenger. When the search for them died down, they travelled to Madeenah. When Quraysh despaired of finding them, they offered to anyone who could bring one or both of them to them two hundred camels. So the people intensified their search and on the way to Madeenah, Suraaqah ibn Maalik found them; he was a mushrik and he set out after them, so the Messenger (peace and blessings of Allaah be upon him) prayed against him and his horse’s legs sank into the ground. So he realized that the Messenger of Allaah (peace and blessings of Allaah be upon him) was protected, so he asked the Messenger to pray for him and said that he would not harm him. So the Messenger (peace and blessings of Allaah be upon him) prayed for him and Suraaqah went back, and diverted the people away from them. Then he became Muslim after the conquest of Makkah. When the Messenger (peace and blessings of Allaah be upon him) reached Madeenah, the Muslims exclaimed “Allaahu akbar!” with joy at his coming. Men, women and children came out to meet him, rejoicing. He stayed in Quba, where he and the Muslims built the mosque of Quba. He stayed there for over ten nights, then he rode on Friday and prayed Jumu’ah amongst Bani Saalim ibn ‘Awf, then he rode his camel and entered Madeenah, with the people all around him taking the reins of his camel so that he would come and stay with them. The Messenger (peace and blessings of Allaah be upon him) told them to leave her, for she would be guided (by Allaah), so she walked on until she sat down in the place where the Mosque is today. Allaah made it possible for His Messenger to stay with his maternal uncles near the mosque, so he stayed in the house of Abu Ayyoob al-Ansaari, then the Messenger of Allaah (peace and blessings of Allaah be upon him) sent someone to bring his family and his daughters, and the family of Abu Bakr, from Makkah, and thus he brought them to Madeenah. Then the Prophet (peace and blessings of Allaah be upon him) and his companions started to build his mosque in the place where the camel had sat down. He made the qiblah facing towards Bayt al-Maqdis (Jerusalem). Its pillars were made of tree trunks and its roof was made of palm branches. Then the qiblah was changed to the Ka’bah more than ten months after he had come to Madeenah. Then the Messenger (peace and blessings of Allaah be upon him) established brotherhood (mu’aakhkhah) between the Muhaajireen and the Ansaar. The Messenger (peace and blessings of Allaah be upon him) made a treaty with the Jews and wrote a document agreeing to peace and to defend Madeenah. The Jewish scholar ‘Abd-Allaah ibn Salaam became Muslim but most of the Jews insisted on remaining kaafirs. In that year the Messenger (peace and blessings of Allaah be upon him) married ‘Aa’ishah (may Allaah be pleased with her). In the second year, the adhaan was prescribed, and Allaah changed the qiblah to the Ka’bah, and the fast of Ramadaan was enjoined. The Messenger (peace and blessings of Allaah be upon him) and his companions began to call people to Allaah and to strive in jihaad for the sake of Allaah. He foiled the plots of their enemies and relieved the oppression of the oppressed. Allaah supported them with His help, until the religion was all for Allaah. 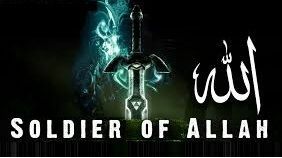 He fought the mushrikeen at Badr in 2 AH, in Ramadaan, and Allaah granted him victory over them and he defeated them. In 3 AH the Jews of Bani Qaynuqaa’ committed treason by killing one of the Muslims, so the Messenger (peace and blessings of Allaah be upon him) expelled them from Madeenah to Syria. Then Quraysh avenged their dead who were slain at Badr. They camped around Uhud in Shawwaal of the year 3 AH. Battle raged and the archers disobeyed the command of the Messenger, so the Muslims did not achieve victory, but the mushrikoon went back to Makkah without having entered Madeenah. Then the Jews of Bani al-Nudayr committed treason and resolved to kill the Messenger (peace and blessings of Allaah be upon him) by throwing a rock on him, but Allaah saved him. Then he besieged them in 4 AH and expelled them to Khaybar. Then the Messenger (peace and blessings of Allaah be upon him) besieged the Jews of Bani Qurayzah, because of their betrayal and their breaking the treaty. Allaah granted him victory over them so he killed their men, took their women and children prisoner, and took their wealth as booty. In 6 AH, the Messenger (peace and blessings of Allaah be upon him) resolved to visit the Ka’bah and perform Tawaaf around it, but the mushrikoon prevented him from doing so. He entered into a treaty with them at al-Hudaybiyah, to stop the fighting for ten years, during which time the people would be safe and could choose what they wanted. Then the people entered Allaah’s religion in crowds [cf. al-Nasr 110:2]. In 7 AH, the Messenger attacked Khaybar in order to put an end to the Jewish leaders who were harming the Muslims. He besieged them, and Allaah gave him victory over them. He took their wealth and land as booty, and he sent letters to the kings of the earth, inviting them to Islam. In 8 AH, the Messenger of Allaah (peace and blessings of Allaah be upon him) sent an army, led by Zayd ibn Haarithah, to deal with the aggressors. But the Romans gathered a huge army and killed the Muslim commanders, but Allaah saved the rest of the Muslims from their evil. Then the kuffaar of Makkah broke the treaty, so the Messenger (peace and blessings of Allaah be upon him) headed towards them with a great army and conquered Makkah. He cleansed the Ka’bah of idols and and freed it from the custodianship of the kuffaar. Then came the campaign of Hunayn in Shawwaal of 8 AH, to repel the aggression of Thaqeef and Hawazen. Allaah defeated them and the Muslims captured a lot of booty. Then the Messenger (peace and blessings of Allaah be upon him) continued his march to al-Taa’if and besieged it, but Allaah did not decree that it should be conquered, so the Messenger (peace and blessings of Allaah be upon him) prayed for them, then went away. They subsequently became Muslim, then he went back and distributed the war-booty. Then he and his companions performed ‘Umrah, then they went back to Madeenah. “O people, listen to my words, for I do not know if I will meet you again after this year. O people, your blood, your wealth and your honour are sacred to you as the sanctity of this day of yours, in this month of yours, in this land of yours. Every practice of the jaahiliyyah is beneath my feet and the blood feuds of the jaahiliyyah are cancelled. The first claim of blood that I abolish is that of Ibn Rabee’ah ibn al-Haarith, who was suckled among the tribe of Bani Sa’d and was killed by Hudhayl. The ribaa of the jaahiliyyah is abolished, and the first ribaa that I abolish is that of ‘Abbaas ibn ‘Abd al-Muttalib. It is abolished completely. Fear Allaah concerning women, for you have taken them on the security of Allaah and have made their bodies lawful to you by the words of Allaah. Your right over them is that they should not allow anyone whom you dislike to sit on your bed. If they do that, then hit them, but not severely. Their rights over you are that you should be kind to them and clothe them properly. I have left you with something which, if you adhere to it, you will not go astray after I am gone: the Book of Allaah. If you were asked about me, what would you say?” They said: “We would bear witness that you have conveyed (the message), fulfilled (the trust) and advised us sincerely.” Then he pointed with his index finger towards the sky and then towards the people, and said, “O Allaah, bear witness, O Allaah bear witness,” three times. In 11 AH, in the month of Safar, the Messenger of Allaah (peace and blessings of Allaah be upon him) fell sick. When the pain became too intense, he told Abu Bakr (may Allaah be pleased with him) to lead the people in prayer. In Rabee’ al-Awwal, his sickness became worse and he (peace and blessings of Allaah be upon him) died in the morning of Monday 12 Rabee’ al-Awwal 11 AH. The Muslims were grief-stricken by that. The Prophet (peace and blessings of Allaah be upon him) was washed (ghusl) and the Muslims offered the funeral prayer for him on the 13th, in the evening, and he was buried in the house of ‘Aa’ishah. The Messenger died, but his religion will remain until the Day of Resurrection. Then the Muslims chose the one who had been his companion in the cave and during the Hijrah, Abu Bakr (may Allaah be pleased with him) to be their khaleefah. After him, the position of khaleefah passed to ‘Umar, then to ‘Uthmaan, then to ‘Ali. These are the Khulafaa’ al-Raashidoon (the Rightly-Guided Khaleefahs), may Allaah be pleased with them all. “Did He not find you (O Muhammad) an orphan and gave you a refuge? And He found you unaware (of the Qur’aan, its legal laws and Prophethood) and guided you? And He found you poor and made you rich (self sufficient with self contentment)? “Those to whom We gave the Scripture [i.e. the Tawraat (Torah) and the Injeel (Gospel)] before it, they believe in it (the Qur’aan). And when it is recited to them, they say: ‘We believe in it. Verily, it is the truth from our Lord. Indeed even before it we have been from those who submit themselves to Allaah in Islam as Muslims (like ‘Abdullâh bin Salâm and Salmân Al Farisî).